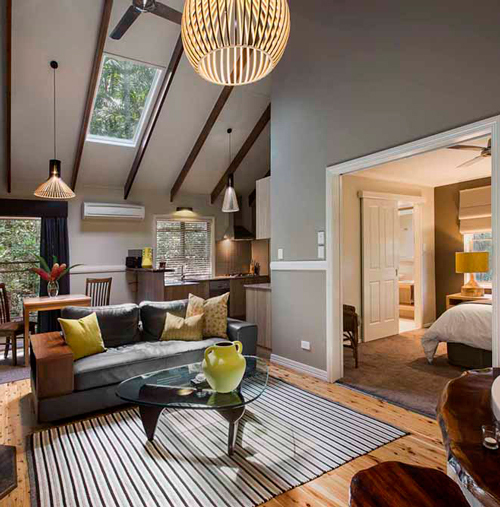 Experience the romance of our internationally renowned hinterland rainforest retreat. Secluded fully self-contained cosy cottages for couples only offering total luxury & privacy. Revive your senses and spirit with a swim in the saltwater pool, a massage in your pavilion, or just wander the forest trail and listen to the bubbling creek. Visit our Narrows Escape Rainforest Retreat website for a complete view of our wedding or honeymoon accommodation services and packages. Email us in the field at right – please ensure you add our business name to the email. Or Phone 07 5478 5000 for a chat.